Art New York this past month in New York City hosted the best works from the finest galleries around the world. 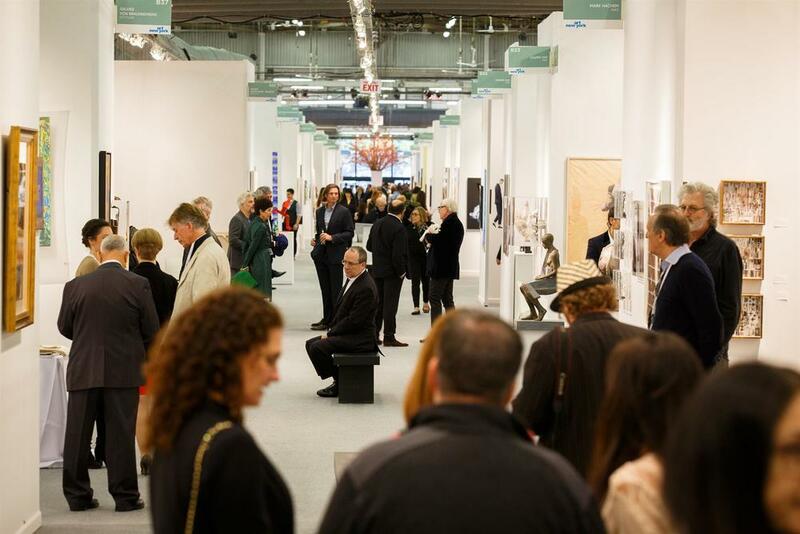 Art New York, put on by Art Miami, presented over 150 galleries representing around 1,200 artists. The showcase encompassed galleries hailing from 50 different countries, all under one venue roof. The art fair, which represented the launch of Art Week 2016, was held at Pier 94 in Manhattan. Art New York allowed a unique experience in its welcoming of art collectors both experienced and new to the art world. The fair showcased works not yet seen by the public, allowing for a preview into the upcoming trends in primary and secondary art markets. Art New York featured works by artists with varying backgrounds and levels of experience, and its counterpart CONTEXT New York offered a juxtaposition of artists. CONTEXT, held adjacent to Art New York, was comprised of artists just beginning their careers. This open forum for new artists to display their works and discuss ideas with other artists allowed for the kind of dialogue among artists that is so important to the perpetuation and creativity of the art world. The exclusive VIP preview event kicked off the week long event, and allowed for press, curators, collectors, etc. to see and acquire the works before the public. Among the most impressive galleries exhibiting was the DeBuck Gallery, located in Chelsea. De Buck gallery featured several works in the stark color scheme of black, white, and red, all of which challenged perception and perspective. Additionally, a piece comprised of burnt matches attached at the sides in a perfect circle caught viewers’ attention. Its use of unorthodox materials and its disguise as an object of simplicity lent itself to contemplation about the beauty in traditionally un-beautiful materials. Art New York offered everyone in both the art world and the public sphere alike an opportunity to experience the best in art just as it debuts to the world. Art New York, in conjunction with CONTEXT New York presented a beautiful and elegant fair, which fostered the encouragement and dissemination of creativity among the individuals in the art community.